What is Maker? Maker is a decentralised autonomous organisation (DAO) and smart contract platform on the Ethereum blockchain with a stable coin system named ‘Dai’. The Dai coin is an ERC20-based stable coin that is pegged to the USD dollar so that a single Dai token is worth 1 US dollar at all times. Unlike other stable coins, the DAI is a decentralised asset that exists within the Ethereum blockchain through smart contracts. A decentralised stablecoin in a volatile market. MKR token holders can vote on system actions. A collateralised debt position (CDP) is a smart contract that is unique to the Maker platform. It allows for users to send ERC20 tokens to the Maker platform in exchange for DAI tokens. The users ERC20 tokens are considered collateral assets that are locked into a collateral debt smart contract with the agreement that the collateral assets will be unlocked and returned by paying back a corresponding amount of Dai. Simply put, ERC20 tokens are traded for DAI tokens, which incurs a debt in a smart contract, which must be repaid in a corresponding value of DAI tokens to reacquire the original ERC20 tokens. 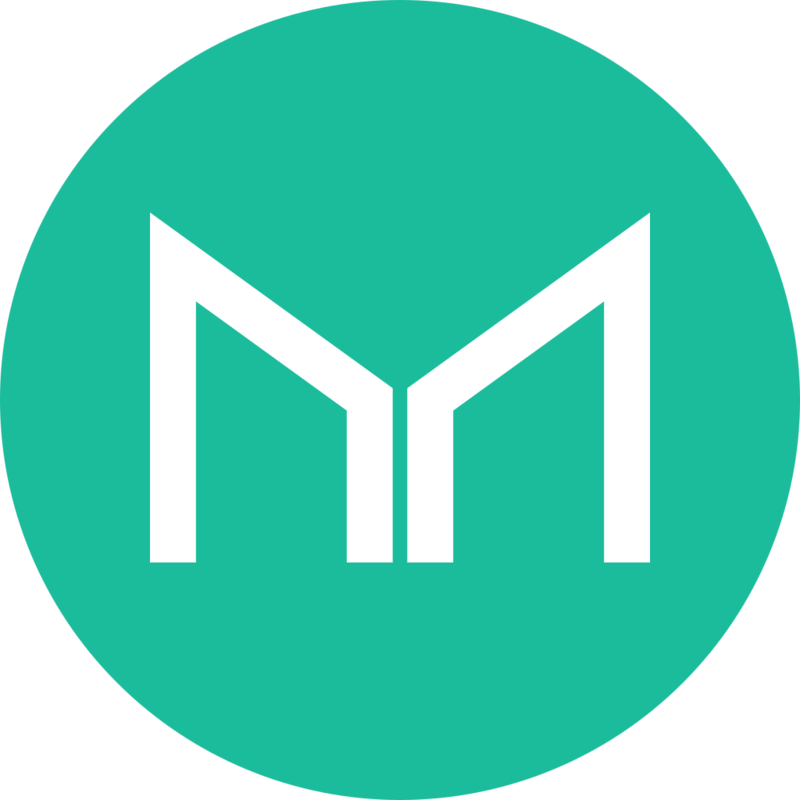 The Maker platform uses 3 primary mechanisms to stabilise the coin. First, the ‘target price’ is used to calculate how much any given ERC20 tokens are compared to the US dollar. Second, the ‘Target Rate Feedback Mechanism’ (TRFM) is engaged in the case of severe market stability and breaks the USD peg to dampen the DAI’s volatility and also to change the target price over time. Third, the ‘Sensitivity Parameter’ determines the rate of DAI’s price change in relation to the US dollar movement and is also used to disengage the TRFM in the event of a market collapse. Global settlement is a last resort process that can be activated in the event of serious emergencies to unwind the Maker platform and return Dai holders the assets they are entitled to with full decentralisation. The other token on the Maker platform, MKR, allows for holders to vote on risk management actions such as the addition of new CDP types, modifications of the sensitivity, risk parameters, and to activate a global settlement. This decentralised governance is done through Active Proposal smart contracts which are empowered by MKR token holder votes. Rune Christensen is the founder and CEO of Maker, who is based in Denmark with a history in biochemistry and international business. Andy Milenius is the CTO of Maker and software engineer at Dapp hub, a blockchain tools development suite. Shannon Wu is the PR consultant for Maker as well as a co-founder of the decentralised credit scoring project Bloom, and the founder of Mr.Progress a digital innovations shop for start-ups. Swarm, a blockchain for private equity has partnered with Maker to allow its investors to lock in crypto prices. OmiseGO, a blockchain project that is developing a decentralised exchange and has partnered with Maker to give its users a stable coin option. L4, a venture project building a decentralised web 3.0 that removes middlemen and incentivises users to contribute, has partnered with Maker to help start-ups using the Dai stable coin system with business development, financing, and strategic introductions. Switchain, a program built to provide users with the best cryptocurrency prices has partnered with Maker to hedge against volatility with the Dai stable coin. Maker is the first DAO ever, it even predates the Ethereum project. The Dai token has one of the most sort-after use-cases in the entire crypto market. It is an extremely useful tool for partnering projects to incorporate and provide added value to their clients. A decentralised stable coin is a cornerstone in a decentralised economy. MKR tokens can be staked for decentralised governance. Although it has the global settlement failsafe system in case of an emergency, there is no way of knowing if it will actually work until the emergency has happened. It is still a developing project. Not that this is a bad thing but just as a reminder that this technology is cutting-edge and breaking previously unexplored territory that may have unexpected consequences. In late 2018 Maker will be releasing multi-collateral DAI tokens. Meaning that alternative ERC20 tokens that are voted in my MKR token holders can be used for collateral to generate DAI tokens. In my opinion for this Maker review, it is an incredible innovation that is a lucrative addition to the Ethereum network as well as any projects that require a decentralised stable coin. Stable coins are one of the most sought-after utilities in the most volatile market in the world, and Maker is a platform that is well underway in providing one. The current Maker (MKR) price, market cap and charts. TrueUSD (TUSD) – A newer alternative stable coin. Tether (USDT) – The most popular but contraversial stablecoin. Bitcny (BITCNY) – A stable coin tied to the Chinese Yuan.